InnovMetric Software Inc., a leading provider of universal 3D metrology software solutions, has announced the launch of PolyWorks 2017 IR6, the latest release of the company�s universal 3D metrology software platform. � The French, Italian, Japanese, Korean, Polish, and Spanish dictionaries have been updated. Reference Guides > About Translated Documentation menu item of the PolyWorks Workspace Manager. � Issues with the STEP CAD model importer have been fixed. � An issue with the recognition of floating license dongles has been fixed. About InnovMetric PolyWorks 2017. 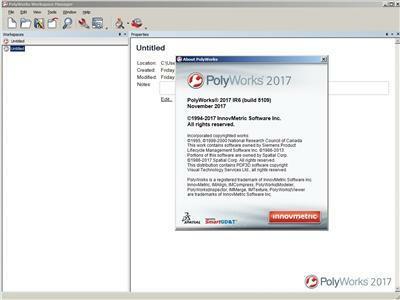 PolyWorks 2017, the latest release of the company�s universal 3D metrology software platform. This solution delivers a new control-centric reviewing workflow � a key upgrade for all portable metrology and CNC CMM measurement specialists that need to share large metrology projects, containing hundreds of dimensional and GD&T controls, with colleagues, customers, and suppliers. It also provides a major technology upgrade for large-volume metrology applications, and a unique approach to real-time collision analysis for more efficient CNC CMM project setups. About InnovMetric Software Inc. Founded in 1994 and headquartered in Quebec, QC, Canada, with subsidiaries worldwide, InnovMetric Software Inc. is the leading provider of universal 3D metrology software solutions. 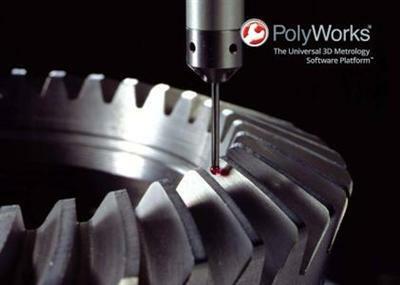 The world�s largest industrial manufacturing organizations (Toyota, GM, Volkswagen, Honda, BMW, Daimler, Ford, Rolls-Royce, Pratt & Whitney, Boeing, Embraer, Bombardier, Apple, and many more) trust InnovMetric�s PolyWorks software solutions and associated technical services to maximize the benefits of 3D measurement technologies for their engineering and manufacturing applications.